If you’re on the edge of whether or not to choose Discover for all of your financial needs, you can rest assured you’re making a terrific decision as to why you should. At Discover, they keep you in mind. Their products are designed with you in mind. Discover provides banking and credit products that will help people like you achieve goals – from establishing good credit, to paying for a college education to consolidating debt. 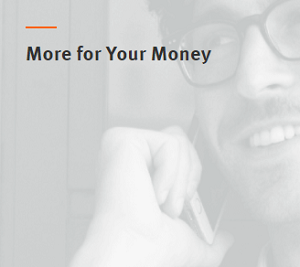 Discover is also 100% U.S. based and they are committed to providing consumers like you with simple, easy-to-udnerstand info & tools to help you make more informed financial decisions or to simply answer any questions that you may have. Their mission is to help people spend smarter, manage debt better and save more so they achieve a brighter financial future. Discover Bank is well-known well for their credit card and online savings options, but did you know that Discover Bank offers Certificate of Deposits (CDs) with some of the highest and most competitive rates today? In addition, you can select terms as short as 3 months up to 120 months long with rates ranging from 0.35% APY up to 3.10% APY depending on term length. Opening a Discover Bank Certificate of Deposit is extremely quick and easy. Start today with a minimum deposit of $2,500! Available online nationwide and with over 60,000 no-fee ATMs, your money is right around the corner. Below is all the information and details you need to open your Discover Bank Certificate of Deposit Account and start earning a competitive return APY on your funds! 8 Need A Savings Account? To earn a competitive APY, simply open Discover Bank Certificate of Deposit Account. Get started in just a matter of minutes. CDs features include high interest rates, 24/7 Live Customer Service, Online Account Management, and FDIC Deposit Insurance up to $250,000 per individual account holder (FDIC certificate 5649). Discover Bank Certificate of Deposit Account: Definitely consider opening a CD online with Discover Bank to receive the highest return rate compared to other bank’s CD rate offers. Apply today and start earning interest on 3-month up to 120-month terms! Earn interest on terms as short as 3-months up to 120-month terms. There are no monthly fees involved with this Discover Bank Certificate of Deposit Account. Below in an overview of the Discover Certificate of Deposit product features. The Discover Bank routing number is 031100649. It is used for electronic transfers made by ACH (including Direct Deposit) and for domestic wire transfers (from another financial institution within the U.S.). So why choose Discover? We think you’ll like it. They keep it simple and straightforward. No gimmicks, gotchas, or hidden fees. Most features have no fee, and if they do, Discover will let you know. Discover has it all! Everything you expect from your bank, and some pleasant surprises. All Your Account Needs: From saving to everyday banking, Discover will have an account to satisfy your financial needs and goals. 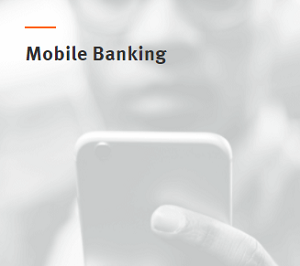 Mobile Banking: Get online instead of waiting inline. 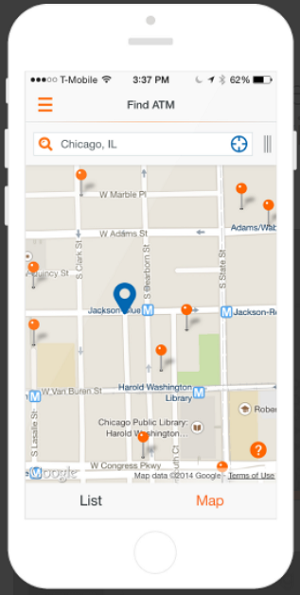 Pay your bills, transfer money, check your balances and deposit checks quickly and conveniently with our mobile app. Peace of Mind: Security is their top priority. They keep your money and personal information safe with Proactive Fraud Monitoring, $0 Liability Protection, Bill Pay Protection and more. Visit our Security Center for more info. More for Your Money: From competitive rates to cash back on everyday banking, we make sure you’re always rewarded. 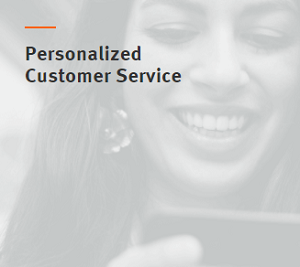 Personalized Customer Service: Great service starts with listening to customers. They pride themselves on giving straightforward answers and going the extra mile every time. Their U.S.-based Banking Specialists are here to help. Contact anytime at 1-800-347-7000. Discover is SECURE. 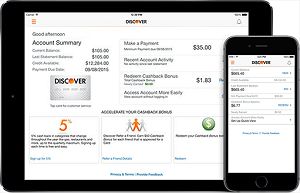 Your money and your data are safe with Discover. Your money is FDIC-insured up to the maximum allowed by law, plus they have $0 Liability Protection so you are never responsible for unauthorized debit card, online, or mobile banking transactions. 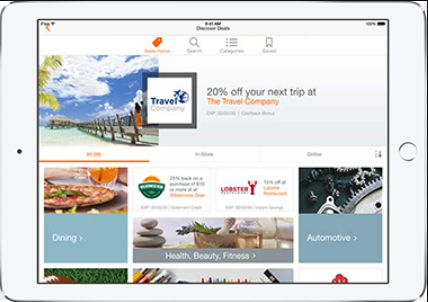 In addition, Discover is mobile. Wherever you roam, they’re right there with you. Mobile Deposit: In a hurry? 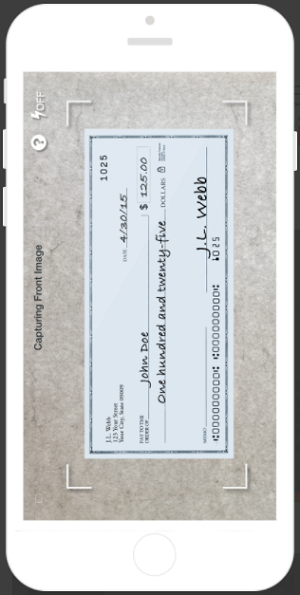 Save time and deposit checks on the go with your mobile device. Fast Login: Forgot your password? Simply log in to your account using your fingerprint or a 4-digit passcode. Quick View: In a time crunch? Quickly view your account activity without the hassle of logging in. ATM Locator: Need cash fast? With over 60,000 no-fee ATMs in the U.S., we’re always nearby. They’re helpful. Loyalty goes both ways, so Discover goes out of their way to win yours. They’re here to help. Their U.S.-based Banking specialists are available 24 hours a day, 7 days a week. It’s the same level of service that keeps Discover Card ranked the highest in customer loyalty. 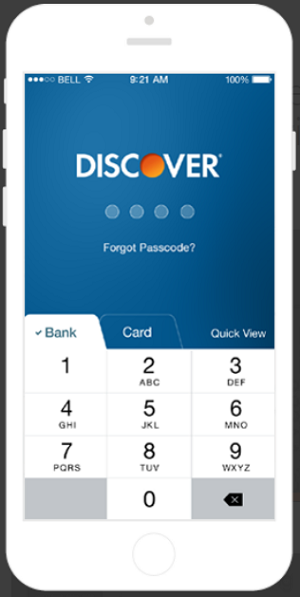 View your Discover Online Savings Account with mobile banking any time. Any place. Move money in and out of your savings account easily and securely with just a few clicks or taps. 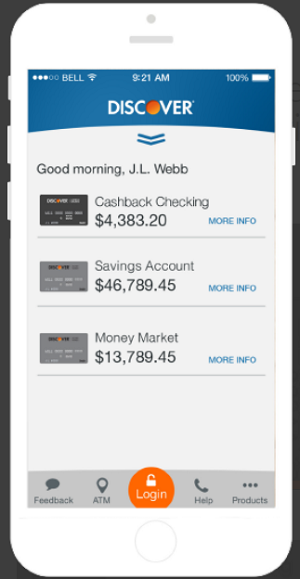 View your savings account balance and activity online or with their mobile app. Deposit checks on the go or grow your savings with automatic transfers. Make the most of your account, wherever you go. Their mobile app puts everything you need right at your fingertips. Text APP to DISCOV (347268) to download on your phone whether it be an Apple or Android device. 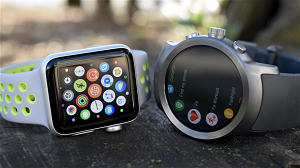 Account Management for all the Devices in Your Life: From your mobile phone to your tablet to your smart watch, Discover Mobile has you covered. Download the app to your mobile devices and and you’ll be able to manage your account, view transactions and manage spending from anywhere. Freeze ItSM takes the worry out of a misplaced card. 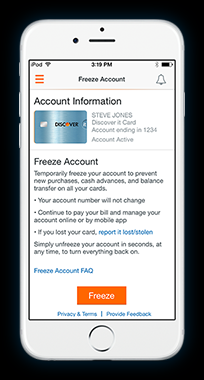 Just Freeze ItSM from our mobile app to prevent new purchases, cash advances and balance transfers. Then, unfreeze your account when you find your card. You earn rewards everywhere—now redeem them from anywhere. Check your Cashback Bonus balance and redeem your rewards right from your phone. Plus, shop Discover Deals for online and in-store offers at your favorite merchants. Great features on the latest wearable tech. With Discover Mobile on your Apple Watch® or Android WearTM, you’re always in touch with your balance, account reminders and Cashback Bonus notifications. Listed below are the most frequently asked questions regarding Discover Bank’s CDs. Q: What is the minimum deposit amount to open a CD Account? A: The minimum initial deposit is $2,500. Q: Can I open a CD as a Trust or Custodial account? Yes. Discover allows a range of account ownership types including Trust, Custodial, Guardian, and Estates. 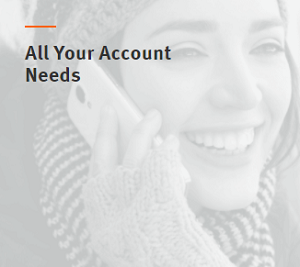 To open one of these account types, please call Discover at 1-800-347-7000 and a Banking Specialist will assist you. Q: How Can I Fund My CD Account? *Please note that Travelers Checks will not be accepted for deposit. Q: How can I learn more about a Discover CD Account? A: Please see the Certificate of Deposit Account Guide for more information. Q: Is the CD Account FDIC-insured? A: Yes, funds on deposit at Discover Bank are FDIC-insured up to the maximum allowed by law. For more information, visit our FDIC information page. Q: Can I find my CD maturity date online? A: Discover will send you a notification 30 days before your CD matures. When your CD matures, you may make a deposit or withdrawal and change the term of your CD during the grace period. The grace period lasts for 9 days immediately following the maturity date. Your CD will automatically renew if you don’t take any action during the grace period and interest withdrawn on the account will not affect the grace period. Any term change, deposit, or withdrawal of principal during the grace period will end the grace period. In some cases, the Early Withdrawal Fee may reduce the principal in the CD. Q: Will I receive a certificate for my CD? Q: What fees or other penalties are associated with my CD Account? A: The only fee associated with your CD account is a $30 Wire Transfer Fee for outgoing transfers. 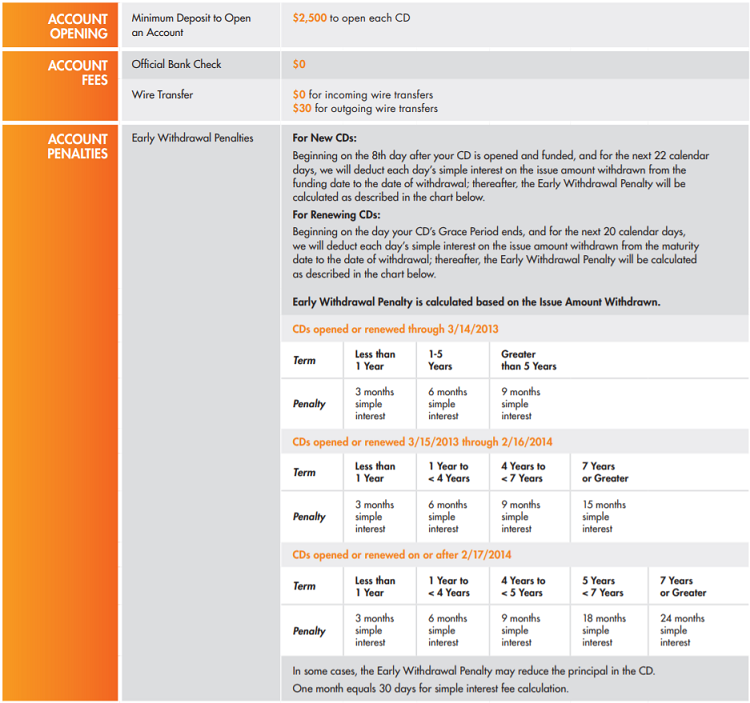 There are early withdrawal penalties associated with CD accounts. Please click here for information on early withdrawal penalties for CDs. Q: Can I make additional deposits to my CD? A: Additional deposits cannot be made during the term of any CD. However, once your CD matures, you can deposit additional funds once during the grace period. Q: How can I withdraw money from my CD Account? After your CD maturity date, there is a grace period of 9 days when you can make changes to your CD, including a withdrawal without an Early Withdrawal Fee. Please note that any term change, deposit, or withdrawal of principal during the grace period will end the grace period. Interest can be withdrawn from your CD at any time without a penalty. Principal withdrawals can be made outside of the grace period, however, an Early Withdrawal Fee will apply. Q: How do I receive interest from my CD? A: You can allow the interest earned to remain in your account and take advantage of compounding or have the interest transferred to an eligible Discover Bank Account. Q: When will I start earning interest on new deposits? A: You will start to earn interest on the business day your deposit is received. Q: How can I lock in a non-IRA CD interest rate for new CDs? A: If we receive your deposit within 10 days of submitting your application, you will receive the highest interest rate offered on one of these dates: the date you submit your application, the date your account is opened or the date we receive your funding deposit. If we receive your deposit after 10 days, you will receive the current interest rate on the date of receipt. Please note that if we don’t receive funding within 45 days, your CD Account will be closed. Q: How is interest on my CD calculated? A: Interest is compounded daily and credited to your account monthly. This Discover Bank Certificate of Deposit Account definitely offers a conpetitive return rate especially compared to your brick and mortar branches. To qualify for any of the listed rates, simply select the respective terms. Discover Bank’s rates have been consistently competitive with terms as short as 3-months up to 120-months. Definitely the route you would want to take for a guaranteed risk-free income. Let us know about your thoughts and experience with Discover Bank in the comment section below. Be sure to check back on BankDealGuy for more bank deals and the best CD Rate Offers!